Combi boilers, often referred to as combination boilers, are a form of condensing boiler. Combi boilers generate water on demand for your taps and central heating from within the boiler unit. Combi boilers are easily the most popular boiler type, accounting for over 50% of all new boiler sales within the UK. Having said this combi boilers are not suited for everyone and it is important to understand whether a combi boiler is right for you. Most traditional central heating systems (regular boilers) store the boiler heated water in a copper cylinder in the airing cupboard to provide domestic hot water. Combi boilers do not require this hot water storage saving you valuable space and reducing heat loss from the previously stored water. As a result combi boilers can be more energy efficient than other boiler types. Central heating systems incorporating combi boilers have fewer overall components. Combi boilers take their cold water feed direct from your mains supply. By installing a combi boiler the cold water feed tank, often housed in the loft, is also not required this can also save storage space and reduces the number of components in the system simplifying any combi boiler system installation. As combi boilers do not store hot water they heat water direct from the cold mains supply as you use it, this gives you the equivalent of a power shower without the need for a pump. One small disadvantage with a combi boiler is that although a continuous flow of hot water is constantly available, the water flow rate from combi boilers is not likely to be as good as with a traditional storage cylinder, particularly in winter. The power rating of the combi boiler needs to be matched to your family’s heating requirements. Heating water ‘on demand’, a major advantage of a combi boiler, improves energy efficiency but limits the volume of water available at any moment. Because the combi boiler is fed directly with mains cold water, it is important to establish that the minimum design water pressure is available otherwise the boiler performance will suffer. For this reason a combi boiler is not always suitable in all areas and a site survey is often required to confirm the suitability of the water supply. Is a combi boiler the right type of boiler for you? Combi boilers have many advantages and are popular in the UK but combi boilers do not suit all homes. Instant heated water is attractive but not so if you are waiting to fill a bath and the water is being used to fill a sink in the kitchen. There are pages in this site which outline the advantages and disadvantages of each of the boiler types to help you make the right decision, installing a new boiler is expensive so you need to get it right. 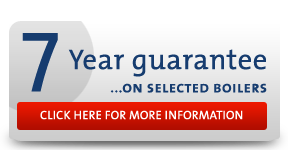 WGS can providing you with a firm quotation for a new boiler and a new or replacement combi boiler if appropriate. The visit and quotation carry no obligations and are free, so there is really no reason to avoid the service. As you will have been helped by an expert you can be confident that you will learn which boiler and what power rating is right for your home. There are five ‘varieties’ of combi boilers. A combi (instantaneous) boiler is the most widely used combi boiler type and directly heats incoming mains cold water to supply your taps, showers and other hot water points. A combi (storage) boiler is a variant of the Instantaneous combi boiler type above and is designed to give you better performance through the internal storage of heated water. The stored water also can give you better initial water supply from cold water mains on first turning on the tap. Once the stored heat has been used, this boiler will tend to operate as an ‘instantaneous’ type. Dependent upon the make and model, the improvement in heated water delivery will depend upon the size of water store, and this can vary widely. Combined Primary Storage Unit (CPSU) – This is a special category of storage combi which will incorporate a very large water store allowing a high water flow rate to taps and other draw off points and to quickly heat radiators before the water store is used.